Sony Ericsson Xperia Active , Xperia Arc S and Xperia ray are announced officially at IFA 2011 in Berlin. These devices are quite attractive and bring some impressive specifications for the users. First I will shed light on Xperia active is designed for active people who love to accept the challenges of harsh environment. It has a power to withstand unfavorable conditions. It can remain active even after being submerged, may be you don’t believe on this statement but it is a fact. The company gives us a proof at launch event where this XPERIA Active showed its active UI while taking a dip into water. Really astonishing! As I told you before, Xperia Active is a rugged device but it doesn’t mean that it hasn’t any impressive features. It support to Android Google’s Android 2.3 Gingerbread OS while gets it processing power from a 1 GHz processor inside. Its stylish 3 inch touch-screen boosts a resolution of 320 x 480 pixels. The internal memory of device is around 1GB of internal memory , incase you want to get more space then you are free to get help from a microSD memory card slot that can expand memory up to 32GB. For connectivity, it brings 3G, Wi-Fi ,Bluetooth capabilities, GPS receiver, etc. There is a 5 MP rear camera which let you to capture still images or record HD videos. You will also get a front facing camera through which you can enjoy video calling and video chat. 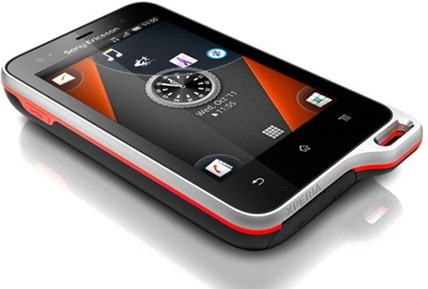 It comes with a battery which delivers 5 hours of talk time or up to 350 hours of standby time. The weight of this device is 110.8 grams while dimensions are 92.0 x 55.0 x 16.5 mm. 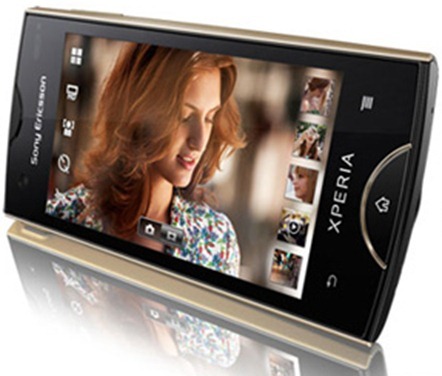 There is no information regarding price of Xperia Active but it will be launched in third quarter of this year. This stunning device is made official at IFA 2011 (2-7 Sept) in Berlin. It will offer the great performance capabilities to its users as integrated with a 1GHz Scorpion application processor is complemented by an Adreno 205 GPU. Its 3.3 inch LED 3.3-inch LED-backlit LCD capacitive touchscreen display that boost a resolution of a 480 x 854 pixels is very impressive. It has the same internal memory as you found in Rugged Xperia Active i.e. 1GB and for the expansion purpose it has a microSD memory card slot. 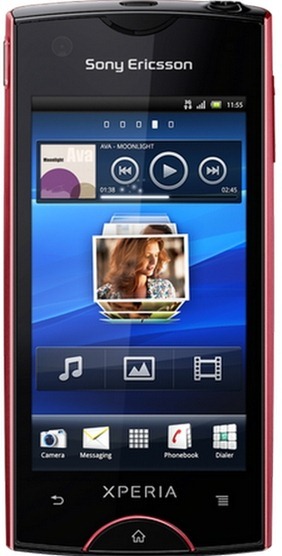 Sony Ericsson Xperia Ray is packed with a 8-megapixel photo camera having features of LED flash and 720p video recording capabilities. Those who love to do the video calling will find a front facing snapper for assistance. You can create and expand social circle via this gadget as it comes with Facebook. It has same connectivity options which are available in Xperia Active. The measured dimensions of Xepria ray are 111 x 53 x 9.4 mm grams while its weight is only 100 grams. Its Li-Ion 1500 mAh battery can deliver up to 7 hours Talk time and up to 440 hours stand-by time. This handset is now available for purchase at Amazon UK for $339.98. “9.4 mm thin and with stylish aluminium frame: meet the Xperia ray Android phone. Watch videos and relive magic moments on the crisp 3.3′ Reality Display with Mobile BRAVIA Engine,” Amazon notes on its website. By reading Xperia Arc with S you will get an idea that this new smartphone is the successor of original Xperia Arc which was launched at CES 2011. Sony Ericsson refresh the old Arc with new improvements and features so that you can enjoy more than before. This new version of Arc is announced with new skin and brain. It runs on Android 2.3 Gingerbread platform. In order to captures the attention of style conscious people, the company changed the skin of the successor so you will get White Xperia Arc S. Furthermore, you will notice a speed boost in this handset because it is equipped with 1.4 GHz not that of 1 GHz. The battery life of it is also great and you will enjoy quick start up. Other specifications are same as you found in original Xperia Arc such as Gorgeous Bravia Reality display and Bluetooth, WiFi, and SE’s own Timescape UI,Exmor-R powered camera at the back. You will be able to access a 2D-to-3D conversion feature through which you are able to capture picture via a 3D Sweep panorama. After taking picture you can see it on a 3D TV or another 3D display via the built-in HDMI port. According to Clove Technology , an online retailer, the first stock of Xperia Arc is expected on 26th of September. The carrier also mentioned in an email that the price of Arc S will be £350.